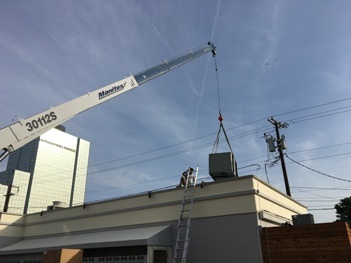 We service Dallas Commercial split systems and Dallas rooftop package units all makes and models up to 25 tons. 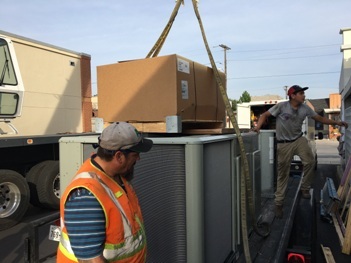 Commercial Air Conditioning Service Dallas and Commercial Heater Repair Dallas from EHS, we’re proud to offer Trusted Care for your Heat and Air from expert service engineers in commercial HVAC (heating, ventilation, and air conditioning). Our staff has more than 50+ years combined experience in serving the Dallas Business AC community, as well as extensive commercial HVAC repair Dallas expertise and some of the most affordable rates in the business. We understand that great value is about more than low rates; it’s also about convenient, dependable service with effective, lasting results and this is what we provide to our Dallas Commercial AC clients. We offer a number of solutions for improving the efficiency of your commercial HVAC system, which in turn will help lower your energy bills and improve the air quality in your office or business facility. Investing in quality Dallas HVAC service, repair, and maintenance can help you save money in the long run, because it helps prevent breakdowns and other malfunctions, extends the life of your system, and cuts utility costs. 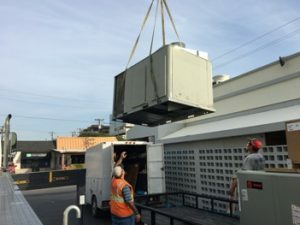 Cheap commercial HVAC services lose their value when the advice you receive is faulty, repairs are done incorrectly, or the inconvenience of the services makes them more trouble than they’re worth. You can trust our staff of HVAC service engineers who are pleasant, knowledgeable, professional and back ground checked. You can improve your energy savings, comfort and prolong the life of your Commercial HVAC system even more dramatically by investing in an ESA – Energy Savings Agreement. Regular maintenance is an important part of keeping your company’s energy costs down and ensuring continuous, reliable performance of your commercial HVAC system. As part of our Energy Savings Agreement, we offer our Dallas Members affordable maintenance programs that include regular tune-ups performed by our factory trained service engineers. The Annual HVAC Energy-Savings Maintenance Agreement does just that: it saves you money on energy bills and repair costs, and it also takes the hassle out of maintaining your commercial HVAC system and prolongs its life. Call Now to Schedule a service call at 972-235-2600 or schedule through our on-line form.